Happy Halloween!!! 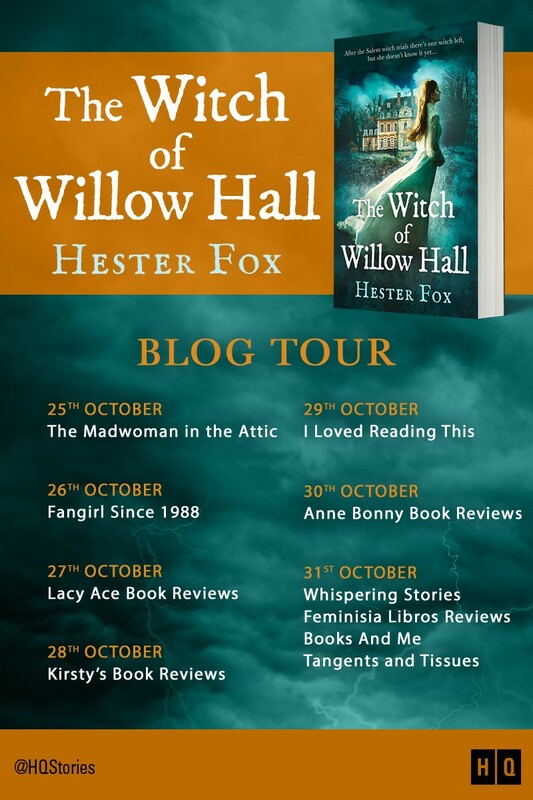 Delighted to be part of this ghostly Blog Tour - my thanks to the author and publisher, HQ for letting me be part of it all! 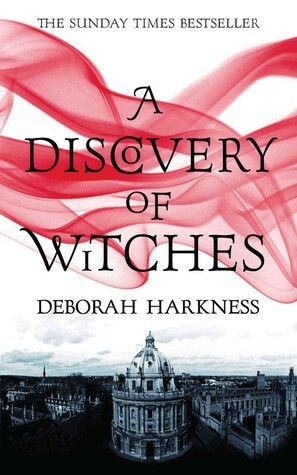 The must-have historical read for the autumn, perfect for fans of A Discovery of Witches and Outlander. Years after the Salem witch trials one witch remains. She just doesn’t know it… yet. Prepared to be spooked!! 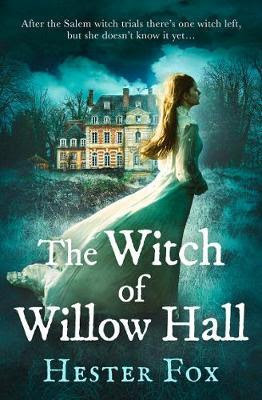 I was completely entranced by the story of Lydia and her family as they are forced to move to Willow Hall after a scandal. But the past isn't easily outrun and soon catches up with them again! Lydia is such a fascinating character. And the relationship she shares with her sister Catherine is very relatable - they bicker, there is jealousy - it's very easy to be #TeamLydia as a reader!! But the relationship with her younger sister Emmeline is very sweet and endearing. With very little to in this new town, the villagers tell the girls of the haunting past of Willow Hall and when strange things begin to happen around the house and outside, then things start to get a little freaky for Lydia and not all of it she is able to control. Their father has moved to the area for business reasons and his business partner, John Barrett, is a little shocked to find out he has a family. 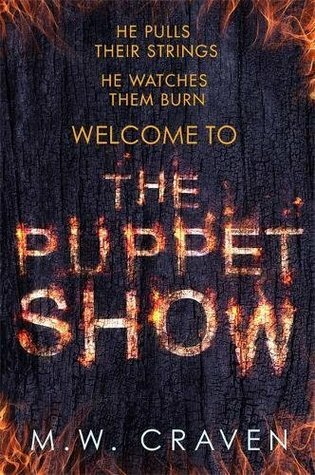 He has a past with the house and as you learn more about events from his past then things turn darker, and the significance of things happening now begin to make a little more sense. 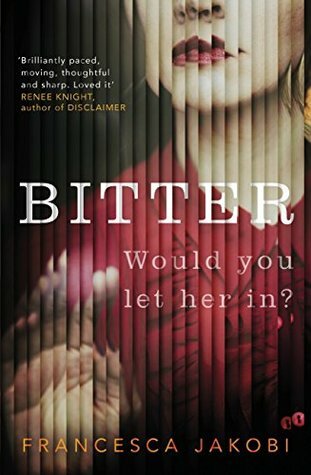 With Catherine desperate to marry, and dark secrets of the family and their new home - both past and present - coming to light there is so much more that draws you into this chilling story and it was the perfect read for this time of year! A wonderful debut! Look no further if you're after a Christmas story that is truly magical and has all the feels!! I found myself smiling throughout this book and fell totally in love with Annie and Nick! They meet in rather strange circumstances and the moment Nick lays eyes on Annie he is smitten! For Annie her pressing concern is that the wedding of her sister goes off without a hitch! The build up has driven them all seemingly insane so everyone is just hoping for a perfect day! For Nick he is feeling lonely! He's tried online dating and that's not gone well, and there seems to be some urgency to his quest to find 'the one'. Annie is also looking for someone to share her life with, and when their paths cross again they soon realise there is something between them so decide to see how things play out. Any characters that name their dogs after characters in Buffy is fine by me ,and I just found the cast in this story were just so endearing, with a few secrets to hide as well which added to the intrigue as the story played out! You find yourself desperate to find out the secrets of Nick and his family and wonder how Annie will react to what he is hiding! 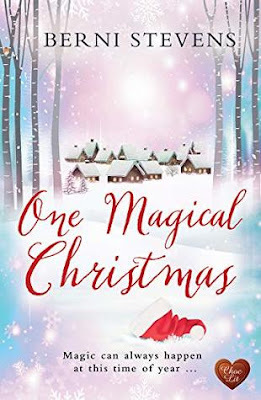 I loved my time with these characters and this book was a magical treat from start to finish! 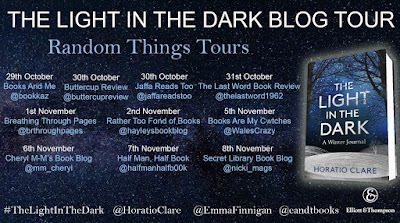 Extremely honoured and delighted to be kicking off the Blog Tour today for the wonderful THE LIGHT IN THE DARK by Horatio Clare. My thanks to the author, publisher and Anne of Random Things Tours for letting me be part of it all and to share my thoughts on this forthcoming release! 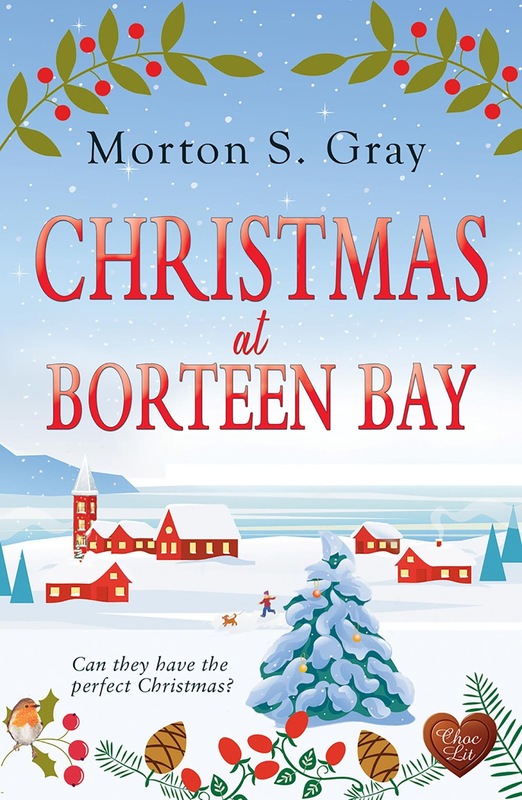 • An evocative exploration of the season, beautifully designed. 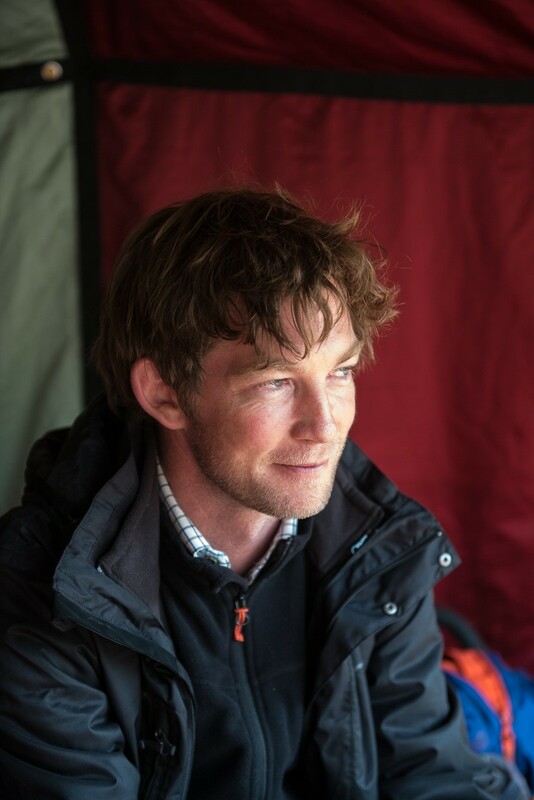 • Horatio Clare is a multiple award-winning memoirist, nature and travel writer. 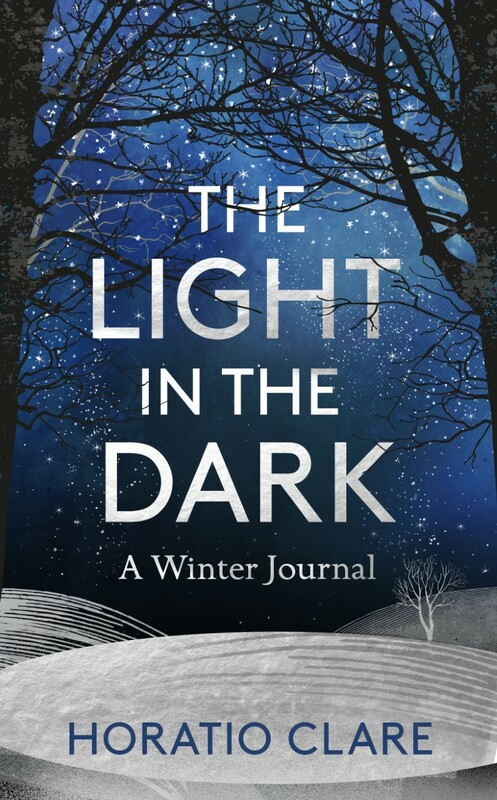 • Combines scintillating nature writing with a moving personal narrative, touching on issues of winter depression and Seasonal Affective Disorder. • For readers of The Outrun by Amy Liptrot and the Seasons series by Melissa Harrison. It's that time of year again! The time when we all want to hibernate thanks to the longer, darker evenings and freezing cold mornings, and this book lets you know that you're not alone in feeling that way! The author has used this book to share his thoughts on how this time of year makes him feel, along with exploring the power that nature has of keeping you looking forward, despite those days when all seems bleak and hopeless. It's a simple concept but the style of writing and honesty that the author shares allows you to see the world through his eyes over the autumn and winter months that he has come to dread so much, and how his attitude to winter has changed over the years. 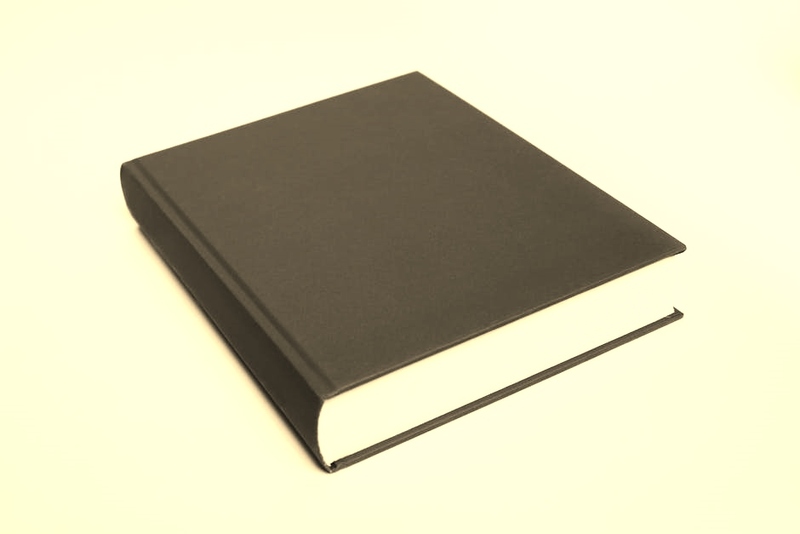 This is his journal of all that he sees mixed alongside the trivialities of real life and that what makes this a book that you can connect with. 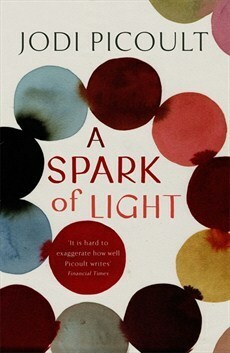 It's a beautifully written book that struck a chord with me on many occasions. The process of seeing the landscape and wildlife change from month to month and seeing how that affects his mood, and how just a simple task of writing a shopping list often became too much when his mind becomes too dark for him to be able to function on a daily basis. Alongside the sights and sounds of nature, there are also many fascinating facts about S.A.D (seasonal affective disorder) and he also explores the strength that his family give him when he's suffering alongside useful tips that he's found in ways of distracting his mind, and realising that he can't do it all by himself and it's ok to ask for help. With the topic of mental health so prevalent in society today, this is a book that can help a reader engage with their own feelings and find help if needed - be that by talking to somebody or just taking time to notice the small things in life. I found this to be such an insightful and thought provoking book and it is definitely one of those reads that gives you lots to think about and helps to lighten up the darkness of Winter. Hello!! It's the weekend!! Time to celebrate! And the weather is bright and sunny outside my window, but there's a chill in the air! I've even seen some snowy videos from people online today in various parts of the UK! Time to hibernate then with a good book or two and a nice hot chocolate! Not been a bad week on the reading front for me, although I do feel like I've taken it easier this week! So 4 books have been finished, 3 books have been added to my real bookshelves and 2 to my virtual bookshelves! Almost balanced this week.... maybe one week I'll get there haha!! So here's a quick look back at my week! 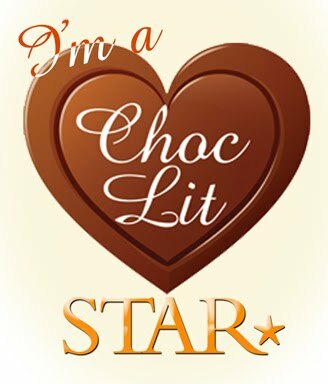 Click on the book titles for links to GoodReads! Loved it! Such an epic story! Another excellent read for me this week! Gripping and chilling! 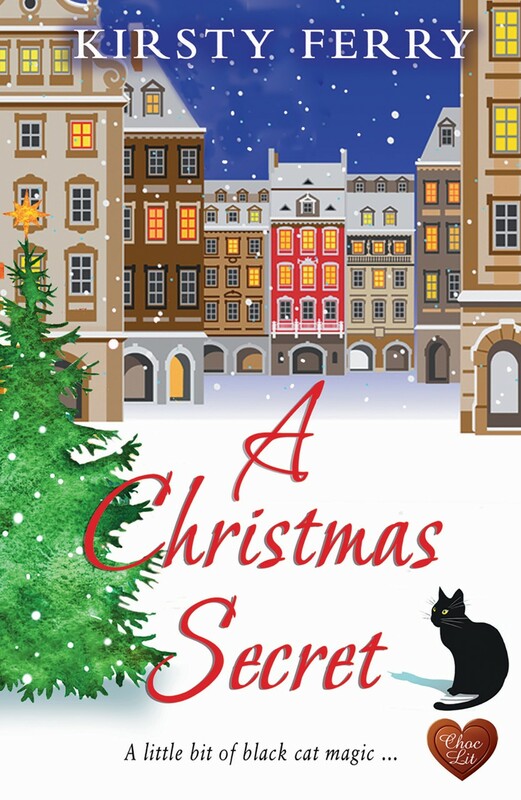 A fun Christmas read featuring Schubert the cat! Loving my Christmas fixes this year! Another really enjoyable story! Inspired by our native landscapes, saturated by the shadows beneath trees and behind doors, listening to the run of water and half-heard voices, Tom Cox s first collection of short stories is a series of evocative and unsettling trips into worlds previously visited by the likes of M. R. James and E. F. Benson. Railway tunnels, the lanes and hills of the Peak District, family homes, old stones, shreds fluttering on barbed wire, night drawing in, something that might be an animal shifting on the other side of a hedge: Tom has drawn on his life-long love of weird fiction, folklore and nature s unregarded corners to write a collection of stories that will delight fans old and new, and leave them very uneasy about turning the reading lamp off. Wynflæd was an Anglo-Saxon noblewoman who owned male slaves and badger-skin gowns; Egeria a Gaulish nun who toured the Holy Land as the Roman Empire was collapsing; Gudfrid an Icelandic explorer and the first woman to give birth to a European child on American soil; Mary Astell a philosopher who out-thought John Locke. In this exploration of some remarkable – but little-known – women living between between the last days of Rome and the Enlightenment, Max Adams overturns the idea that women of this period were either queens, nuns or invisible. In a sequence of chronological chapters, a centrepiece biographical sketch is complemented by thematically linked stories of other women of the time. A multi-faceted and beautifully illustrated study of women's intellect, influence and creativity, Unquiet Womenbrings to life the experiences of women whose voices are barely heard and whose stories are rarely told. It's 1969, and while the summer of love lingers in London, Gilda is consumed by the mistakes of her past. She walked out on her beloved son Reuben when he was just a boy and fears he'll never forgive her.When Reuben marries a petite blonde gentile, Gilda takes it as the ultimate rejection. Her cold, distant son seems transformed by love - a love she's craved his entire adult life. What does his new wife have that she doesn't? And how far will she go to find out? It's an obsession that will bring shocking truths about the past to light . . . 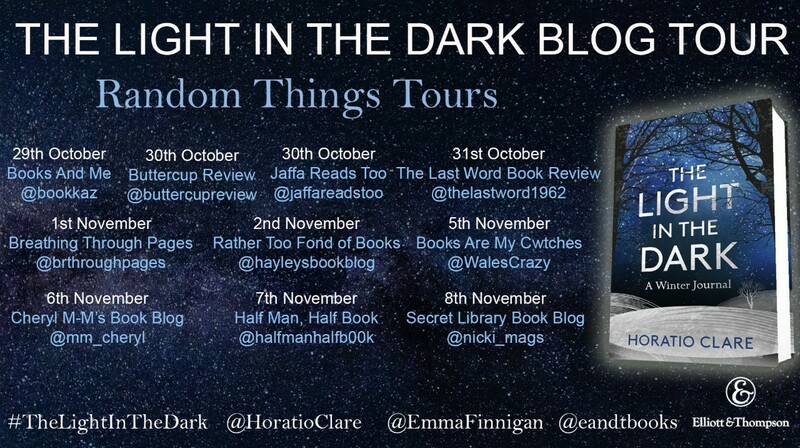 But Silas has only thought of one thing since their meeting, and his obsession is darkening . .
reading this ahead of a Blog Tour next month! Have been loving the series on Sky One so that has finally made me pick the books up that have been sitting on my shelves or way too long! And done! 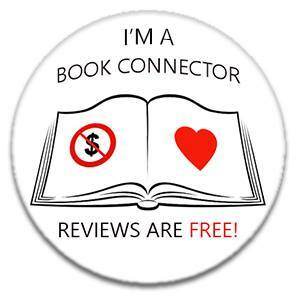 How has your week been on the bookish front? good, bad, ugly?! If you've read any of the books above I'd love to hear your thoughts!! Wow!! This was a truly epic and captivating read and I'm extremely grateful to Goldsboro Books for selecting this as their October Book of the Month as this may have been a book I wouldn't have picked up otherwise. 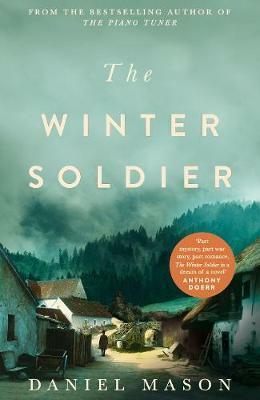 This is a beautiful but brutal story following Lucius, a young medical student during World War I, and dealing with the most horrific sights whilst fearing for his own safety and that of the medical team at the field hospital he finds himself stationed at. And this is where he meets Margarete, the nurse who steadies the ship and runs everything with military precision. He is totally overwhelmed when he first arrives as to what faces him, but Margarete gives him advice. assistance and confidence and soon he doesn't have time to think about what he's doing and just gets on with things. He still has his own ideals though of how he wants to treat patients and we get to see the consequences of that during his time here. They spend so much time together it's obvious that they grow closer, but they soon find themselves miles apart with the ever changing events of war,nut he never gives up hope of seeing her again and does all he can to track her down. This story pulls no punches in its' descriptions of injuries and the harshness of conditions that many had to live with. It isn't for the squeamish but it just brings home how tough it was for everyone living during that time - the squalor, the effect on their mental health, and how bonds were formed in such extraordinary circumstances. 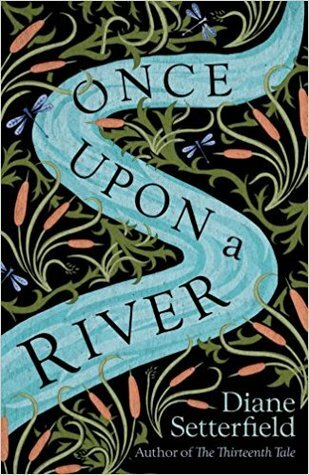 A truly stunning story and one I highly recommend you pick up and read!! 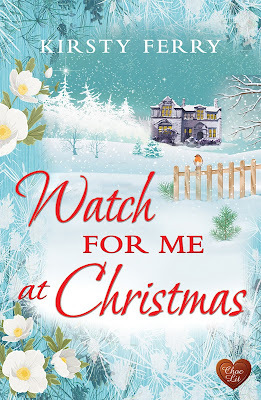 A fabulous new Christmas story for 2018 from Kirsty Ferry. I do love the Hartsford Mysteries series and this is the latest addition and I just want more!! Hartsford Hall has become a favourite place of mine through this series and it was just so wonderful to be able to go back and visit some old favourite characters, alongside some new introductions! Emmy Berry finds herself at Hartsford Hall for a craft fair. One of those last minute things that she agreed to do to help distract herself from an upcoming lonely Christmas. Her crafting is her passion and she's not in it for the money - and that is what seemed to upset her ex! She is welcomed with open arms by the owners and despite never having visited the Hall before she feels at home! She's keen to learn more about the history and keeps catching glimpses of people dressed in vintage clothing which really adds to the historical atmosphere. I love the parallel timelines contained in this series. They work so well alongside each other, so in this book we get flashbacks to 1884 and the story of Charles and Millie. Both besotted by each other but hesistant to take things further, until a snowy Christmas brings them closer together. While Emmy is snowed in at the Hall she spends more time with Kate, who lives above the museum and her brother Tom is visiting for the holidays. He's been having very strange dreams recently about a woman and he's a little shocked to now see her in real life! Maybe spending Christmas with his sister and her family won't be so bad after all! The world works in mysterious ways or so they say! The blend of romance and history is a wonderful mix once more, and with a snowy setting it can't get any better! 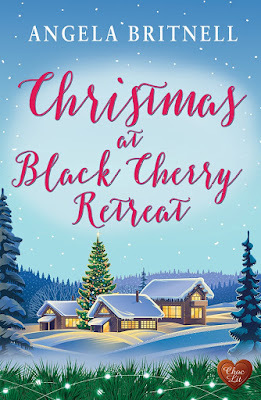 I loved being reunited with old characters from the series, but this can also easily be read as a standalone story, perfect to get you in the Christmas mood. Loved every single second of it!! Hello all!! 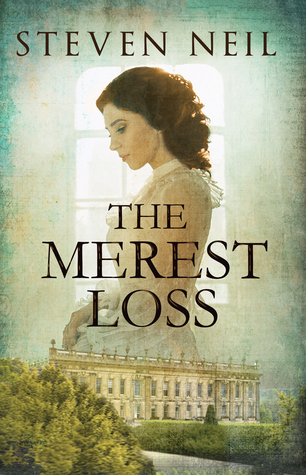 Another beautiful cover reveal to share with you all today courtesy of the lovely Angela Britnell and the team at Choc Lit! I hope you are looking forward to this one as much as me!! Here's a little bit more about the book to help set the mood! Christmas at Black Cherry Retreat is published on 3rd December and will be available to purchase as an eBook on all platforms. So here is your first look at the book that hopefully you'll be wanting to add to your collection the moment it is released! Looks perfect doesn't it!?! An idyllic spot! Roll on 3rd December!! Will be sharing more details about pre-ordering nearer the time!! So stay tuned!! It's my favourite time of the month again! Time to open up the latest Reading In Heels subscription box to see what goodies I've got this month!! And they never fail to surprise me!! Time to take a closer look at it all! Why have I never heard about these before?! YUM! Looking forward to relaxing with these!! Much needed!! You can never have enough tea! Excited to try these flavours! Even just sniffing it has chilled me out! Looking forward to using this in the bath later! An electrifying novel of blood ties, online identities, and our tormented efforts to connect in the digital age. 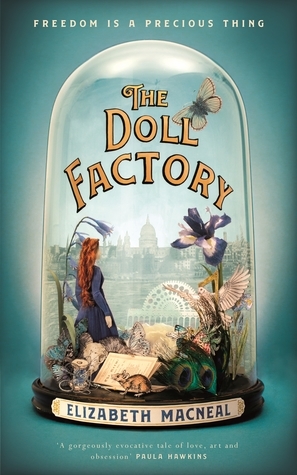 At twenty-three, Alice Hare leaves England for New York. She falls in love with Manhattan, and becomes fixated on Mizuko Himura, an intriguing Japanese writer whose life has strange parallels to her own. As Alice closes in on Mizuko, her ‘internet twin’, realities multiply and fact and fiction begin to blur. The relationship between the two women exposes a tangle of lies and sexual encounters. Three families collide as Alice learns that the swiftest answer to an ancient question – where do we come from? – can now be found online. So there we have it! Really love this mix of goodies and yet another book that I've heard very little about but am eager to read after seeing that blurb! Have you read it? Tried any of these products?